Join us at any Chili’s restaurant in Utah and give back to your community. 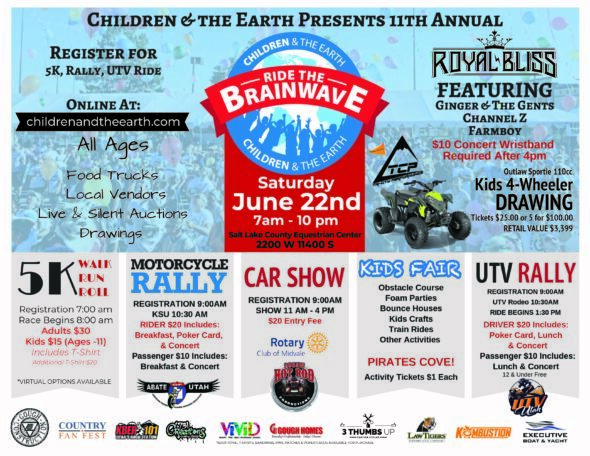 We are so excited to announce that we have an opportunity to do this monthly and assist hundreds of kids throughout Utah. 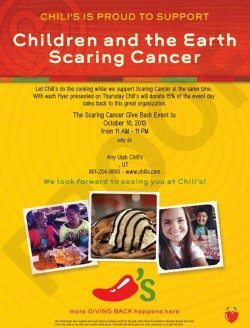 Our first Chili’s event will be held October 10, 2013 we are SCARING cancer this month! Please print this flyer and take to any Chili’s in Utah and our charity will receive 15% of proceeds that day to help our cancer kids with medical bills! THANK YOU!! !